Seven-year-old Bruno has been a regular at the Madras Veterinary College. The friendly yellow-coloured Labrador does not come for any treatment. And yet it is very much part of the treatment. He is a blood donor, much like many of his human friends. 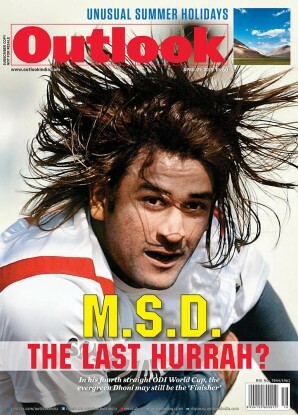 And he has helped save many sick dogs. The likes of Bruno are much in demand at the country’s first canine blood bank in Chennai, which fills a major gap in canine healthcare. Dogs are particularly prone to anaemia due to tick-borne diseases. Many surgeries result in blood loss, which needs to be compensated. There are also injuries due to acci­dents, resulting in loss of blood. 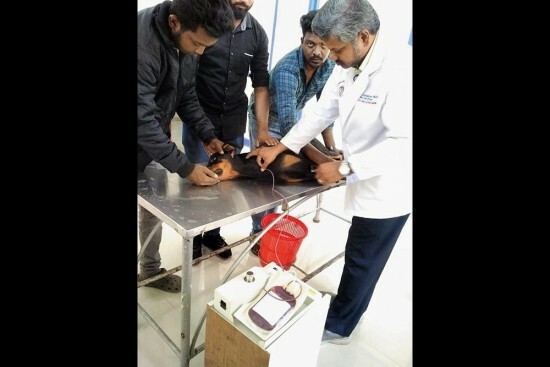 “In such conditions, blood transfusion is the only way to save a dog, for which we need a steady stream of donors, as also a facility to store the blood and administer them to recipients,” says Dr C. Balachandran, vice- chancellor of the Tamil Nadu University for Veterinary and Animal Sciences (TANUVAS). After its establishment in 2010, the TANUVAS Blood Bank started with fresh whole blood transfusion, before building up facilities to store blood and its components such as plasma and platelets to be used round the clock. “Often it is enough if we just transfuse platelets or only packed red blood cells rather than the whole blood. Dogs are not just best man’s friends, but are also closest to humans when it comes to the capacity for blood transfusion,” explains Dr G.R. Baranidharan, who manages the facility. Like humans, dogs too have blood groups—seven—out of which DEA 1.1 negative is the universal donor. Dog blood is not breed-specific, which means that a dog from any breed can donate blood to another breed. Moreover, a healthy dog can donate 300 to 400 ml of blood once in three months and it gets replenished in three weeks. The blood bank charges just Rs 1,000 for every transfusion—less than one-fifth of what is charged abroad. Regular donor dogs are even given incentive kits. Animal acti­vist Shravan Krishnan, who regularly sends rescued and ill-treated dogs to the veterinary college, rec­alls that the blood bank had been a saviour when he sent a few stray dogs badly injured in road accidents. Thankfully, the blood bank has found a steady stream of donor dogs through a systematic awa­reness campaign during dog shows and adoption drives. The only disincentive is the distance many donors have to travel to the facility near Chennai’s Central Station as the collection happens only at the blood bank. The success with canine blood donation and transfusion has encouraged the vets of TANUVAS to successfully carry out blood donation among cows and goats to treat their sick ones. To popularise the concept and practice, the university now teaches final year graduate students about animal blood banking and transfusion as part of their veterinary care curriculum.